Color Throwdown: Featured Stamper, and Stamp Winner! Featured Stamper, and Stamp Winner! Many thanks to everyone for joining us for the Throwdown last week, and for all the wonderful submissions! It was once again a really tough decision to pick a Featured Stamper, but I kept going back to Melissa Sauls' card as my most favorite, so I have chosen her as the Featured Stamper for this week! Congratulations, Melissa! 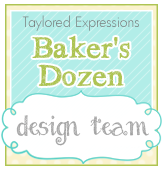 Please email me at the link you'll find on my blog, and I will send you the Color Throwdown Featured Stamper blinkie for your blog! Congratulations, Julie! Please email Kisa through her profile on her blog so she can make arrangements to send your prize! Thanks again to everyone for playing last week! We will let you know soon who the Guest Designer for April 15th will be! Stay tuned for a great Throwdown from LeAnne tomorrow! Woo hoo! Congratulations, Melissa, on being chosen Featured Stamper! Great choice, Tammy! And congratulations to Julie for winning the OCL prize!! And congratulations to Julie, too! What a GREAT prize!!! Have fun with it! 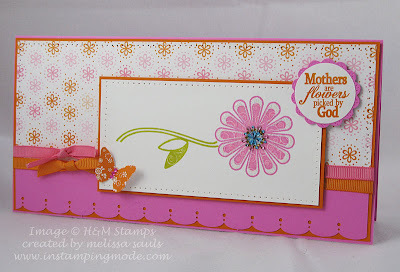 Congratulations to the featured stamper, Melissa! Also to the prize winner, Julie! You both made amazing cards!